Hello! Today I have a fun (and extra!) post for you. 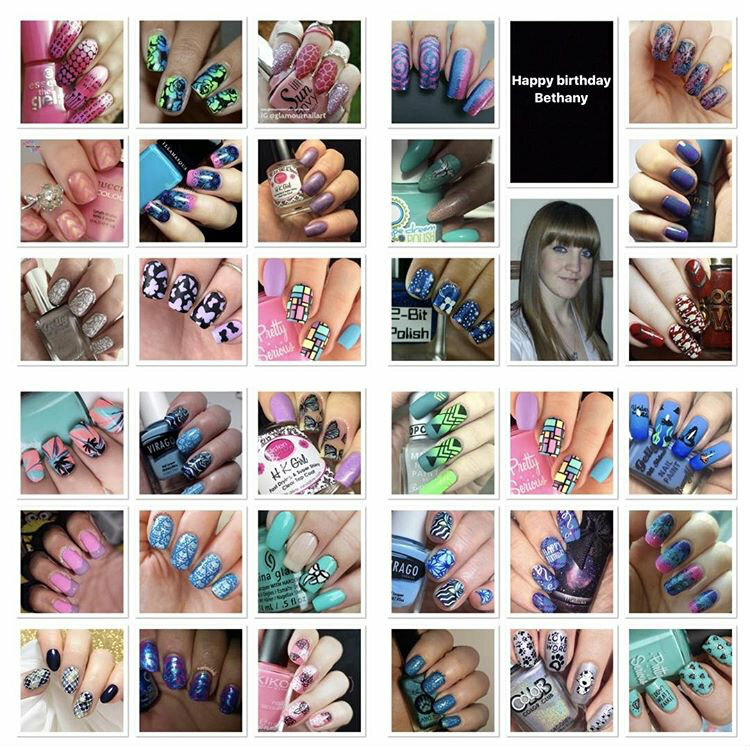 A couple of weeks ago, I was asked by Rebecca (@baby_mama_nails) to join a big nail art collaboration for Bethany from BNailedToPerfection's Birthday. 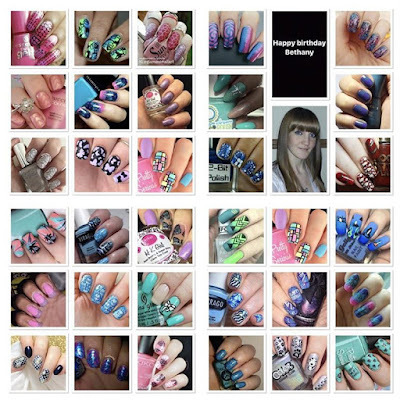 We all decided to recreate one of her many fabulous manis, and put together a big collage for her special day. 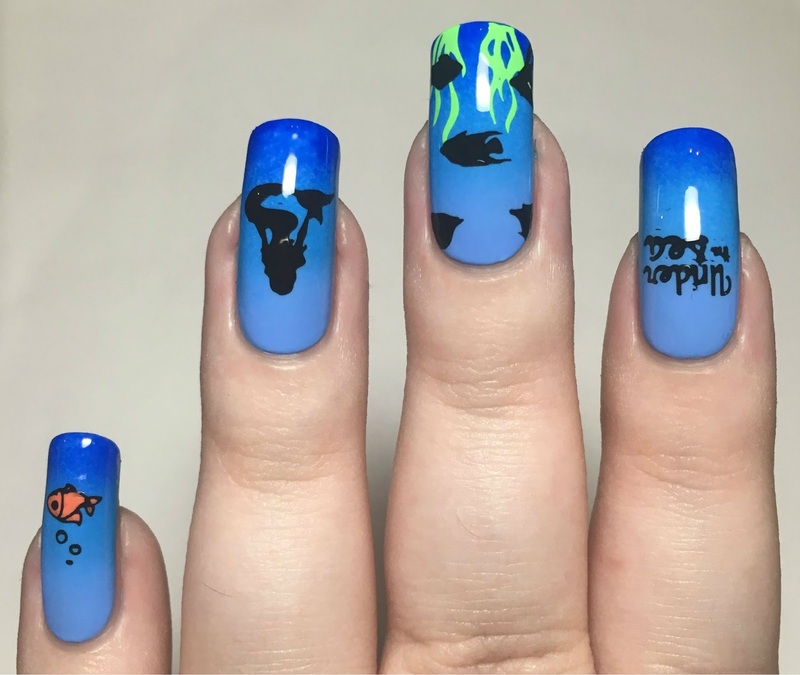 Read on for a closer look at my recreation, and to see if I did Bethany's original mani any justice! Bethany also uploaded a tutorial for this look, which you can find on Instagram here. Now for my recreation. I started by creating a blue ombre gradient using (in order from light to dark) Barry M 'Blueberry', Models Own 'Blue Skies, and Barry M 'Blue Grape'. The picture below is before topcoat, so it doesn't look quite as blended as in the final look. 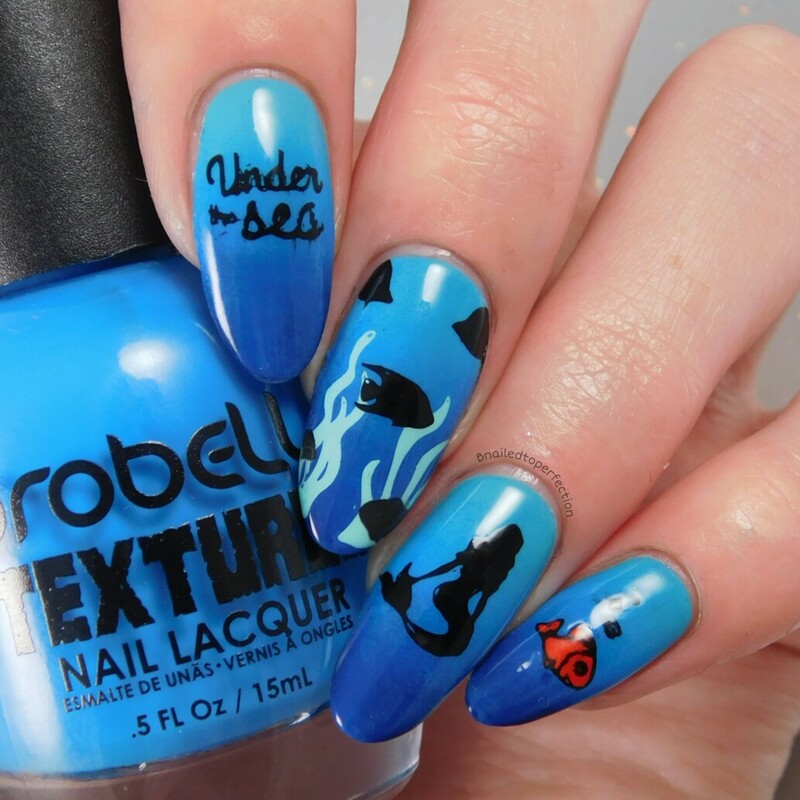 I then used the Uberchic Beauty Mermaid Life stamping plate to add my stamping, copying Bethany's original design. 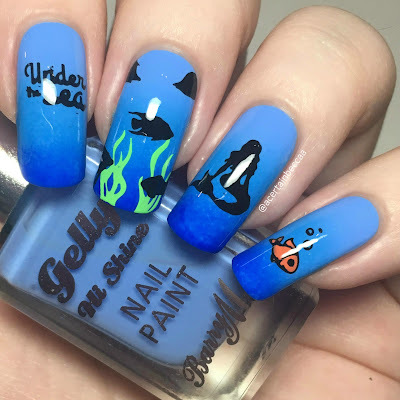 I used Hit The Bottle 'As Black As Night' as my black, Esmaltes Da Kelly 'Bruce' for the green, and coloured the fish in using Models Own 'Summer Solstice'. I finished with topcoat to seal everything in. What do you think? I loved Bethany's mani, and I love my recreation! I've had the Uberchic Beauty mermaid plate since January and I've been waiting for an excuse to try it - I'm so glad I finally busted it out! I love anything mermaid/nautical/pirate themed so I'll definitely get good use out of it. Make sure you go and show Bethany some love, on Instagram here, and on her blog here. Happy Birthday lovely!